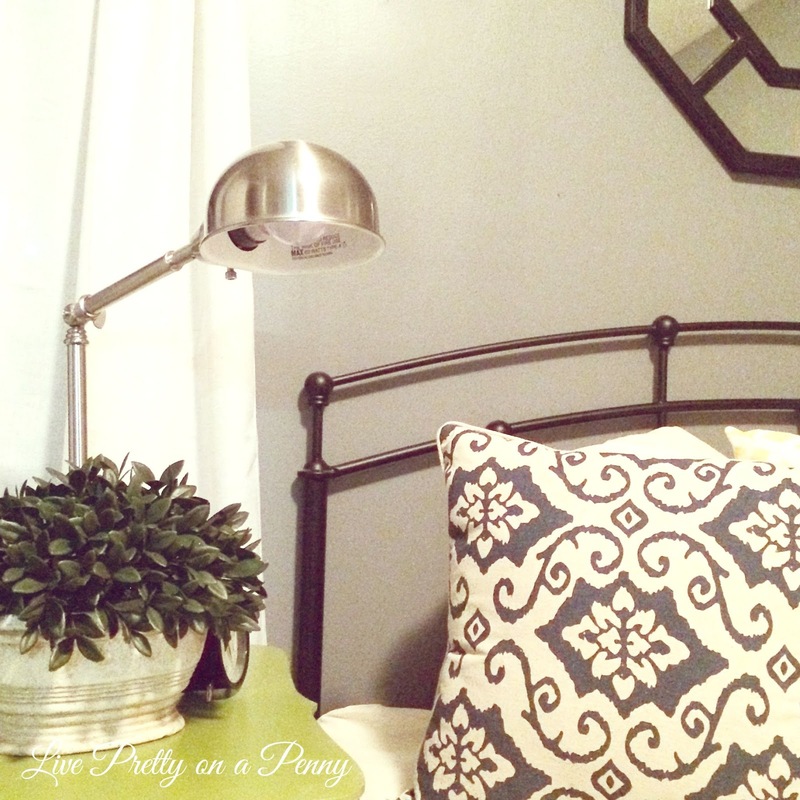 The guest room is just about finished and I am so excited with the way its turning out! 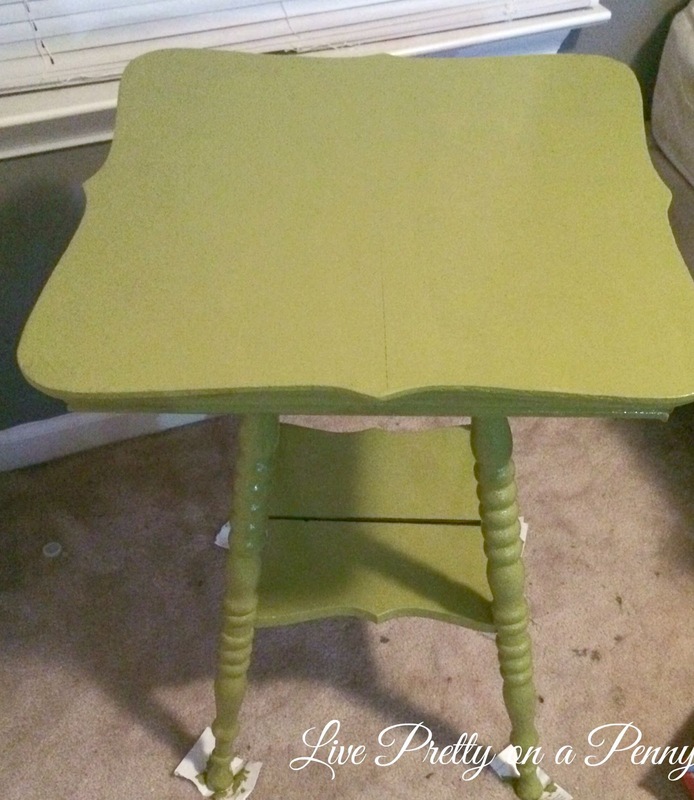 On Instagram, I showed a snipped of my painted side table. I have been spending lots of evenings in here getting things done and just like any other room makeover, its so rewarding to see your vision come to light. Here are a few more sneak peeks. I look forward to having the room done within the next week. Here you get a peek at my headboard choice. I am in love with the headboard that I chose. Thank you all for your input. I purchased that lamp from the Goodwill for $4.94. 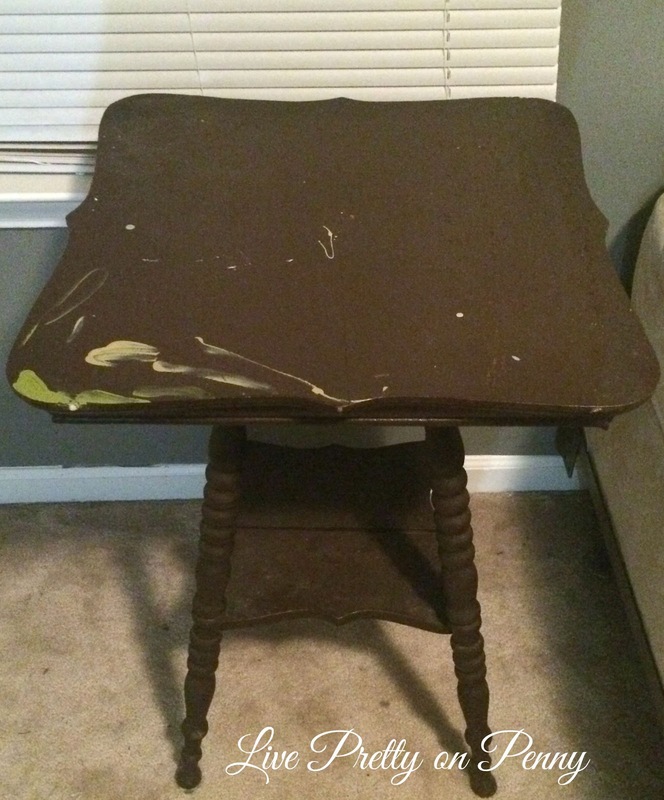 It is in PERFECT condition and I am not really sure why someone got rid of it. I added scrap fabric to these frames to display on the wall. 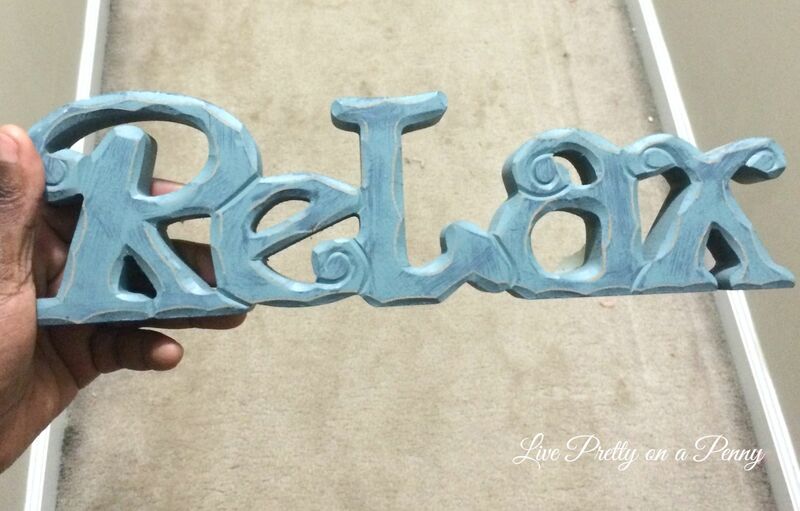 I had this “Relax” sign lying around and almost donated it to Goodwill, as the color no longer fit my style. Well, after some gold spray paint, it became a nice addition to the room. 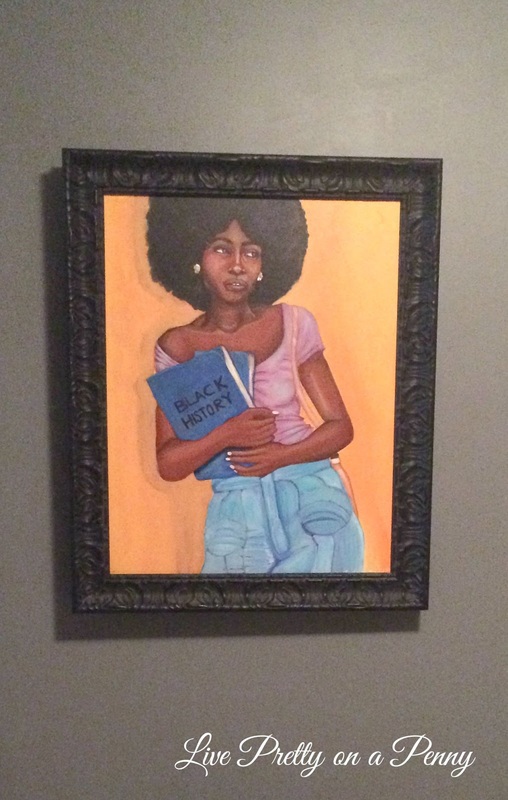 My sister painted this painting and it was featured in the Macy’s New York store a few years ago during Black History Month. I love it and had to add it. You may remember seeing other work from her featured on my IG. 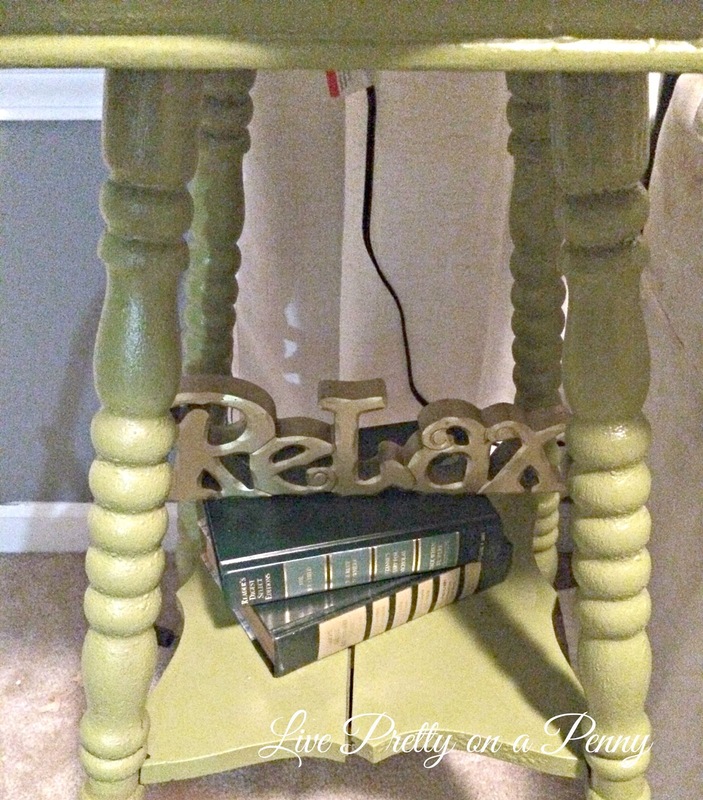 This little table was purchased from Goodwill last year. 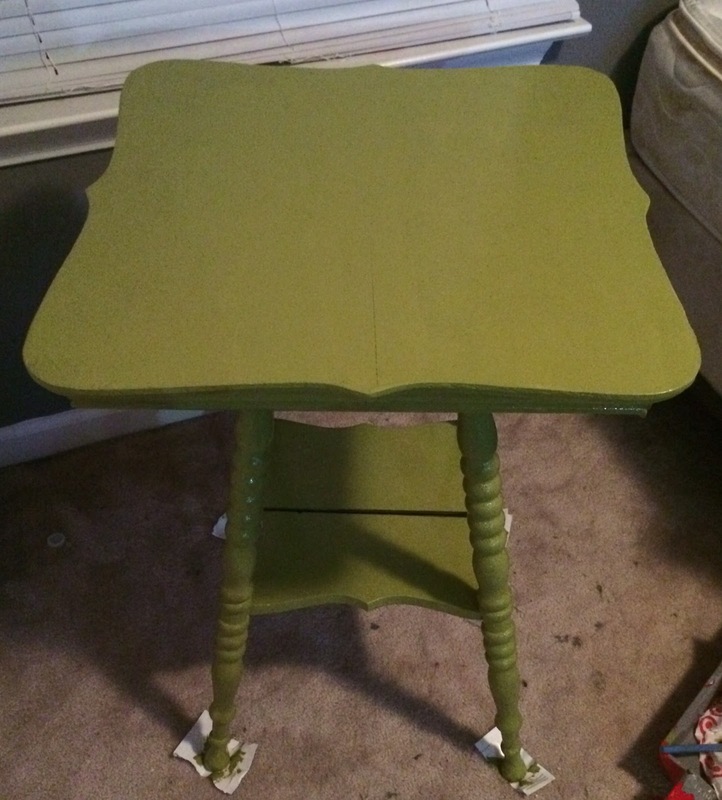 The green paint is perfect! So sorry about the graininess of the photos. I lost my camera memory card so I am currently using my I-phone to snap as I go along to capture sneak peeks. Don’t worry, the room reveal will be captured with my digital camera. Looking good Erin! 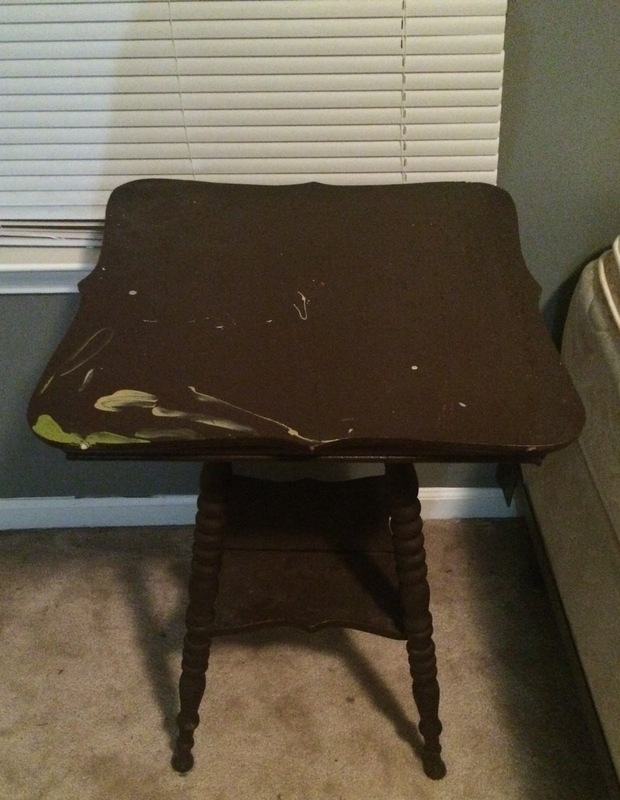 Love the little side table. Definitely stalking your guestroom updates as I'm working on a guestroom project myself. I'm trying to get the room ready for my parents since they will be here a while once the grandbaby gets here. 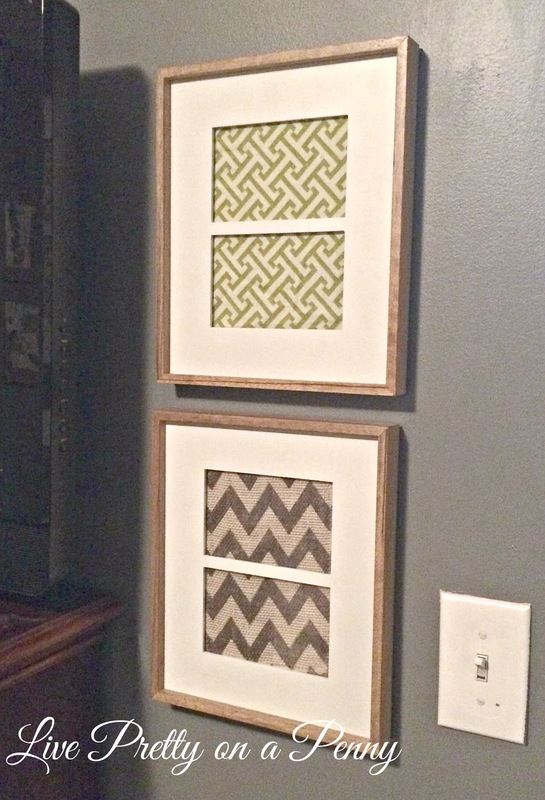 I love the idea of framing scrap fabric, so easy…so inexpensive! Keep up the great work, Erin! Great choice on the headboard. It looks amazing already!